One of the oldest Irish Clubs, having been founded in 1889 with the arrival of the trans-Atlantic telegraph cable from the United States. After 80 years of play, the original nine hole course was redesigned by the famous Irish golf architect, Eddie Hackett and the late owner, John A. Mulcahy. Today Waterville is truly mystical. 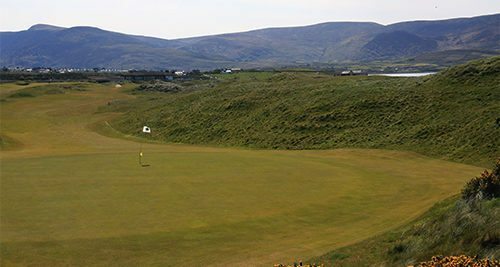 The course gradually introduces the player to its special tempo and rhythm and concludes with a symphony of links beauty. From Henry Cotton to Mark O‘Meara and Tiger Woods, all have praised its perfection. 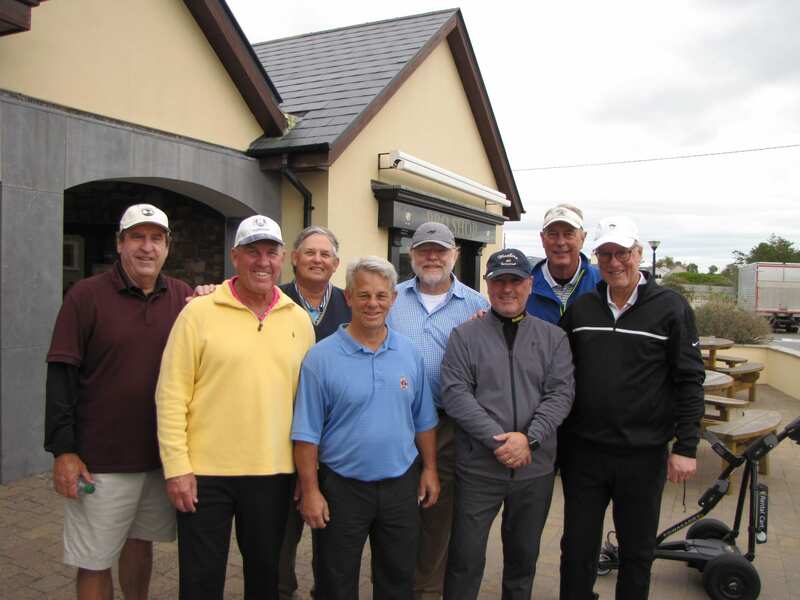 Stewart has a strong connection with Waterville Golf Links where he first played in 1998 while preparing for the British Open. 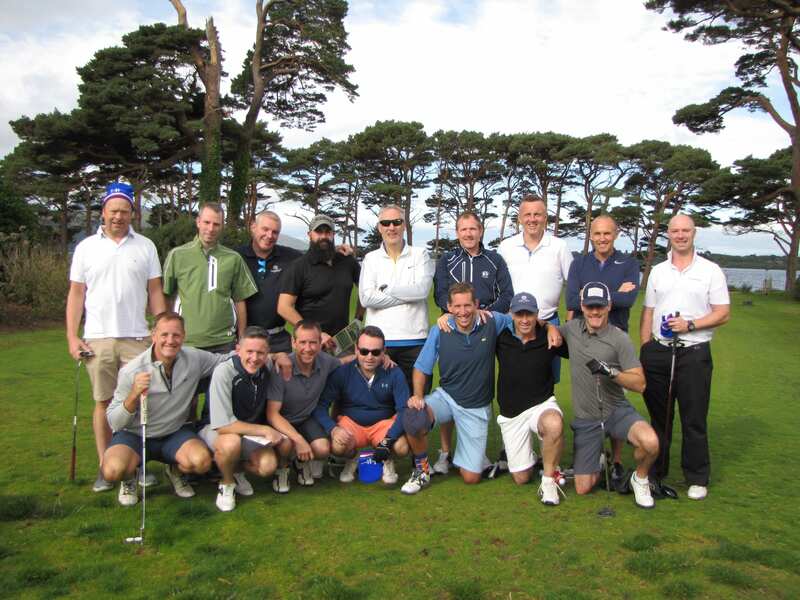 He enjoyed the experience so much that he returned the following year to become a member. Stewart’s affection for the course was reciprocated by Waterville and in September 1999 he accepted the club’s offer of honorary captaincy for the millennium year. 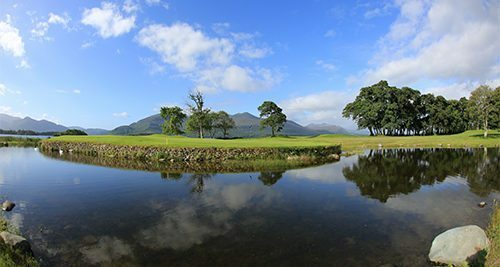 Spectacular Golf, Spectacular Scenery – After the rough-and-tumble challenge of the traditional Irish links courses, the tranquil beauty and somewhat gentler pace of Killarney Golf Club‘s classic parkland courses offers a welcome respite. The richly wooded grounds for the golf courses were originally made available by Lord Castlerosse, an avid golfer, whose passion for horticulture manifests in the colourful and varied shrubbery throughout. In 1991, after winning his first US Open, Stewart travelled immediately to Ireland in order to take part in the Irish Open which was being held at Killarney Golf Club’s Killeen course. Despite not winning the tournament his unmistakable charismatic style and colourful dress made him a huge crowd favourite in Killarney. 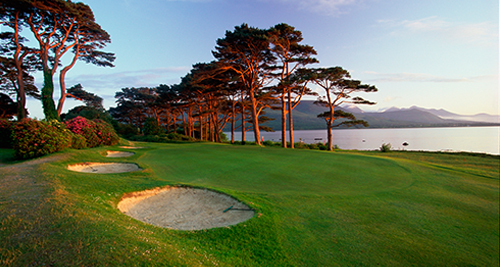 Killarney Killeen, venue of the 1991/1992 Irish Open Championship and host of the 1996 Curtis Cup, Killarney Mahony‘s Point greatly admired by the successful European Solheim Cup players during the ladies Irish Open 2002 are nestled amidst the serene splendour of the famous Lakes of Killarney in the shadow of the majestic Macgillycuddy‘s Reeks. Everything was perfect and It was very much enjoyable time in Ireland ! Lovely country ?amazing golf course’s and very nice people. Much better than I expected !! I became to love Ireland ! The selection of top restaurants would rival the bars, with options from Pub Grub to al-a-carte to fine dining, there is an option for every taste. The town lies adjacent to the boundary of the National Park on its north-eastern edge. Its name comes from “Chill Airne”, meaning “church of the sloe”, the original site of which is thought to be the location of the present-day St. Mary’s Church of Ireland. 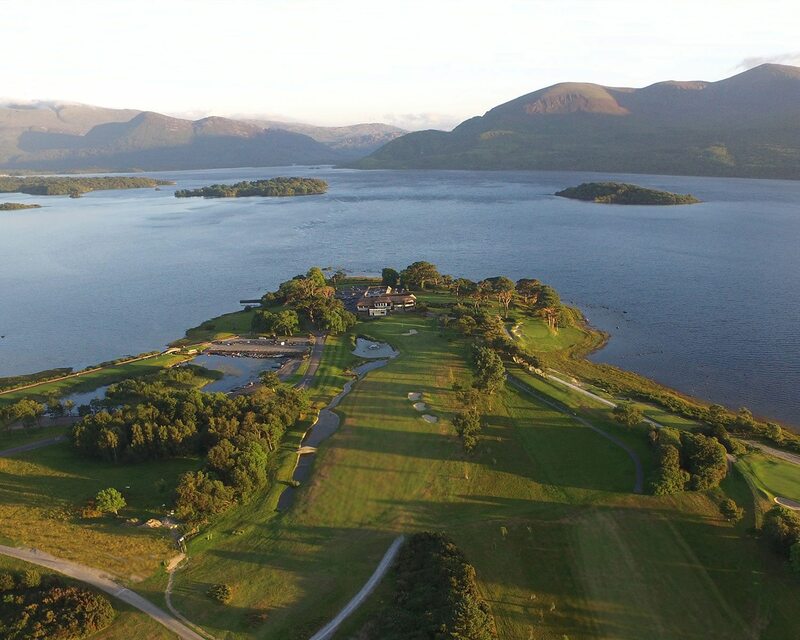 The spectacular scenery of the area, particularly the lakes has been the basis of a tourism industry that has been operating in Killarney for at least 200 years. – Additional courses are charged at the normal rate.